If you are a regular reader of my blog, you will already know that I have a love for the Cote D’Azur. My summers are spent hopping between the Grand Hotel Du Cap Ferrat, the Monte Carlo Bay (my son loves their amazing pool) and the Hotel Hermitage which is right in the centre of Monte Carlo and oozes sophistication and style at any time of the year. Well, the most central hotel in Monte Carlo, Hotel Du Paris, has just upped its game with a complete refurbishment and a brand new suite. The price. 30,000€ per night, and more during the Grand Prix weekend. What do I Get For 30,000€? 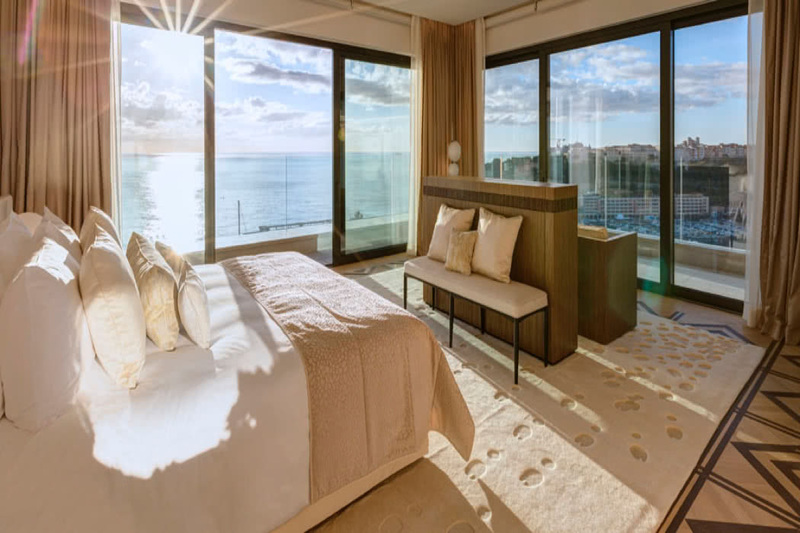 This suite is in the most exceptional setting on the Riviera and is a celebration of Princess Grace. This is because Princess Grace celebrated many special moments At the Paris Hotel in Monte-Carlo with Prince Rainier. In 1956, on her wedding day, dinner was served at the Paris Hotel Monte-Carlo, who prepared the wedding cake for the official reception. 20 years later, the princely couple celebrated their wedding anniversary in the cellars of the hotel. This new suite continues the legend. 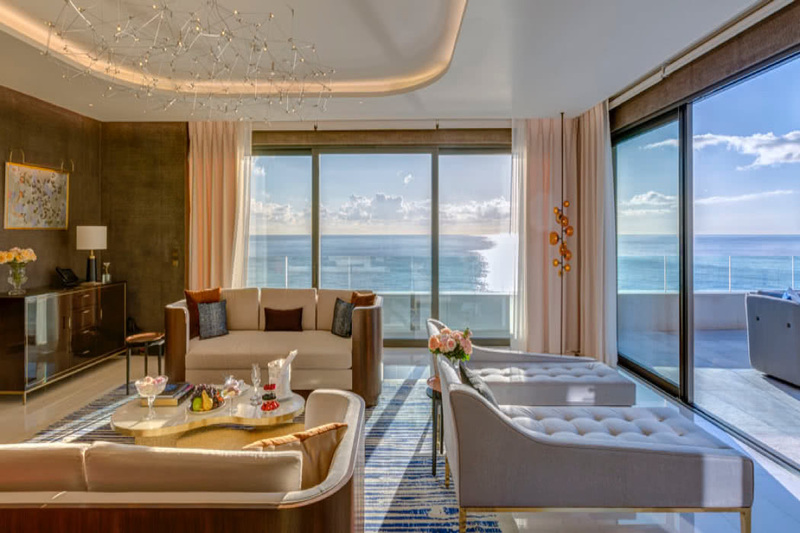 In a setting overlooking the Mediterranean, the Princess Grace suite offers a vast living space with contemporary design and spectacular exteriors. Occupying the top two floors of the Hotel de Paris Monte-Carlo, the Suite is a haven of peace above this magical Principality. 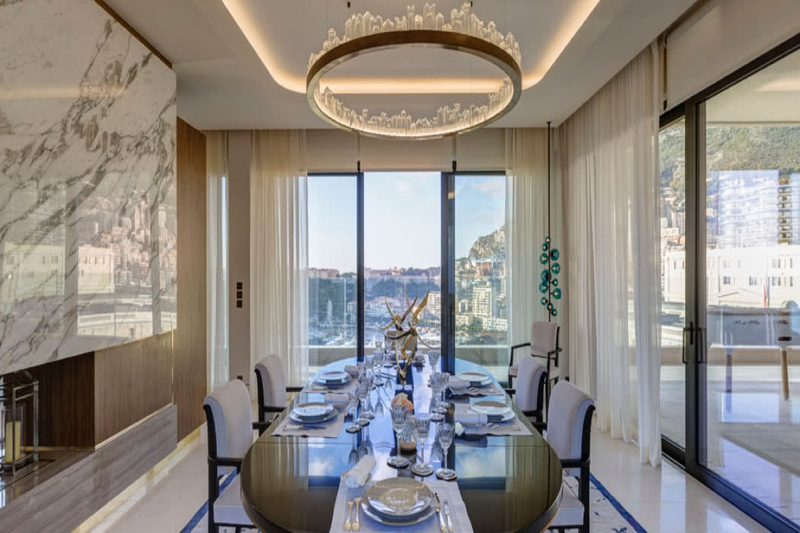 I think it is unlikely that you will find a more expensive hotel room than the price of this suite during the Monaco Grand Prix. 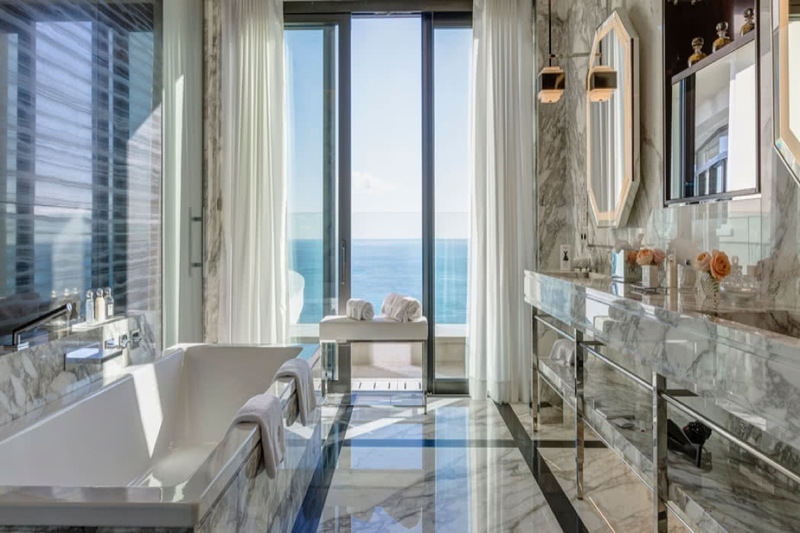 If you want to book a stay here or at any other luxury hotel, contact our Luxury Travel Concierge for free benefits such as room upgrades and free breakfast.